This forum contains 723 topics and 1,373 reply, and was last updated by admin 1 week, 2 days ago. 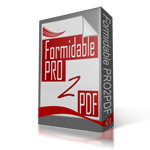 Formidable Pro PDF or E2PDF ? This licence code is not valid. Click here to retry. Error : Failed to load PDF document.